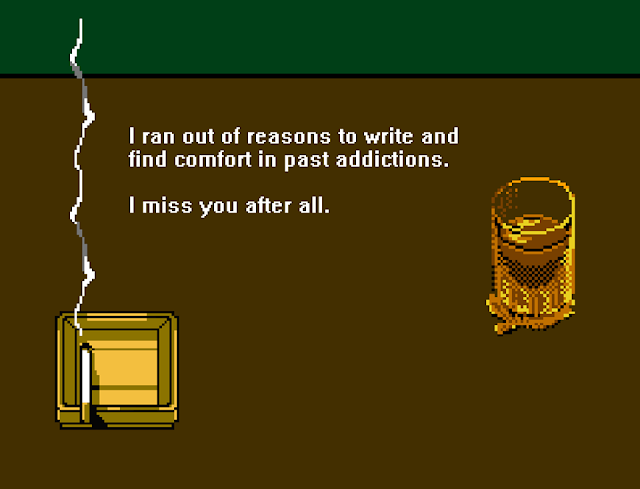 8-bit Stories is a popular online page recognized for its atmospheric, pensive, witty, nostalgic, and melancholic pixel art accompanied with relatable and brutally honest musings. It has over 60,000 supporters on Facebook alone and over a thousand likes in every post—an undeniable proof that its art maintains a powerful connection to its followers and has way of challenging people’s inner workings and touching people’s hearts. 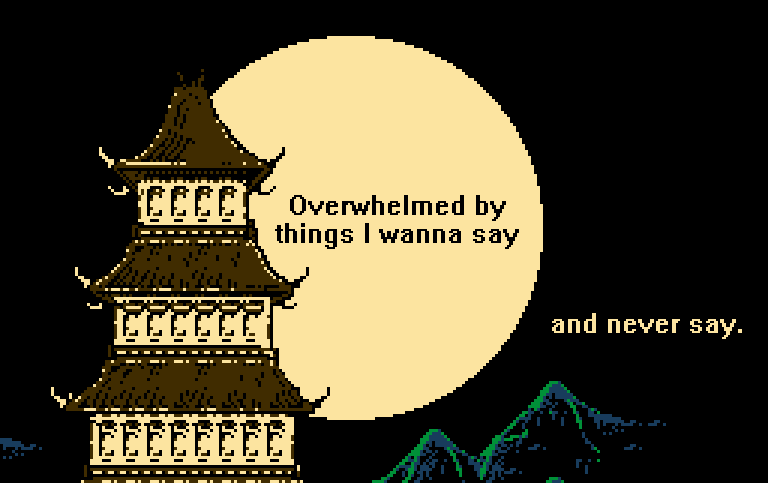 8-bit Stories’ art portrays emotions some of us are afraid to articulate or say aloud— stretching from love to existence, from society to mental illness, from death and to other variations of vulnerabilities we experience in life. Recently, Lithium Magazine had a chance to interview the artist behind 8-bit Stories, giving us the opportunity to get to know more about their art and see some snippets of their life outside their page. Lithium: Why did you choose ‘8-bit stories’ as your alias? 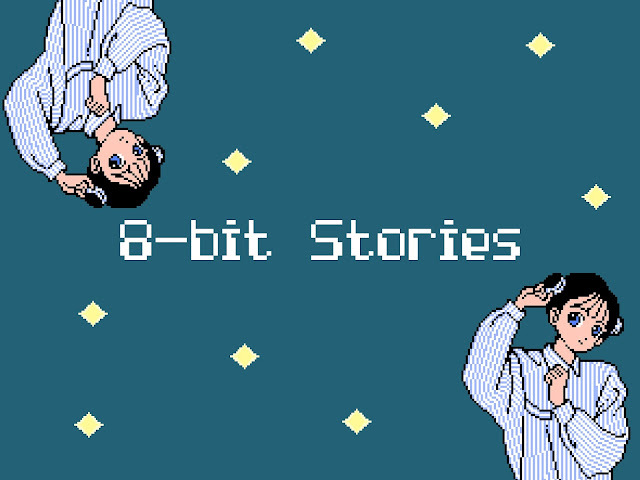 Can you tell us some things about the person behind 8-bit stories? 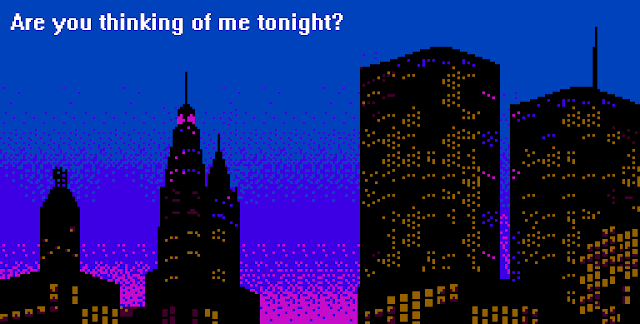 8-bit: I started in 2013 on Tumblr with another alias. Back then, I posted art from various consoles such as Atari, PC-9800, and NES. Their art captivated me in a way no other could do and the simplicity of it gave me the freedom to modify it as I wanted [to] and create new worlds. Thus, I changed the concept of my page and named it 8-bit Stories becase I liked to put my own words on the art. There's really no explanation of it and to tell you the truth, I'm not a fan of the name. I wish I could change it, somehow. Maybe I could put my name as the artist of the content but I prefer my anonymity for now. Lithium: When did you start making your art? Why do you make art? 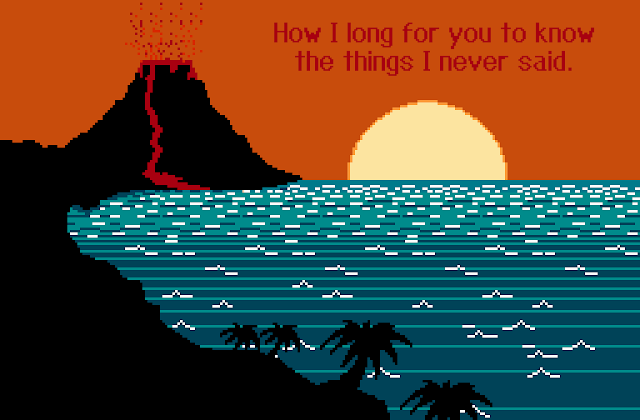 8-bit: This kind of work is a therapy. Everything that gets to me is placed there for everyone to see and relate. It took me a lot of time to actually get over the stress of “how to do it”. Also, making this kind of art as you see it is something recent and new, and in a way, it came by itself through relentless practice. Once I got the knack [of it], I knew what I had to do with it. Now, I work without the stress of “how to do” it, and instead, I stress [over] what I should write. Lithium: What software do you use to make your art? How often do you create a visual? 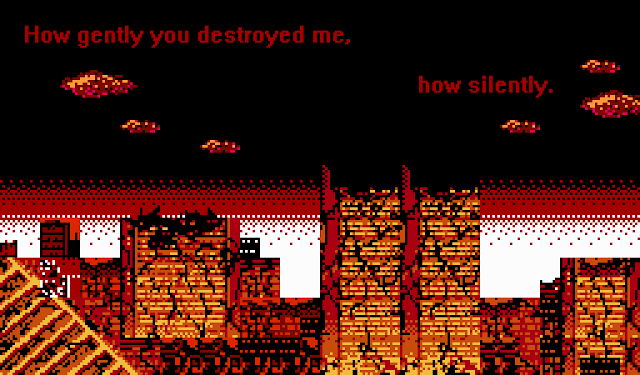 8-bit: Surprise, I use Photoshop, an overrated boon that works wonders. 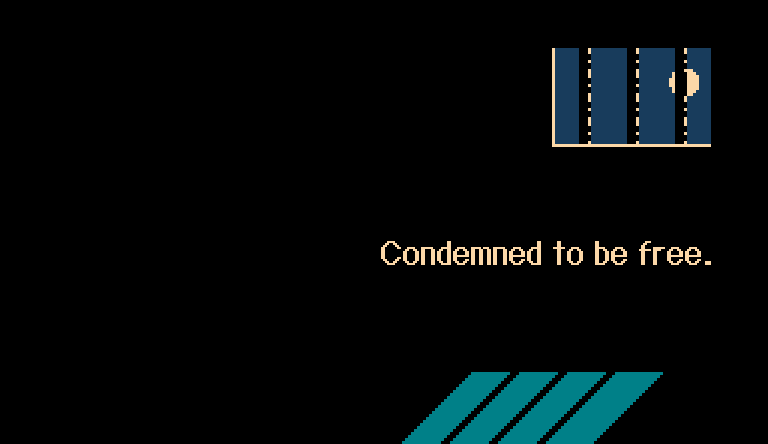 I’d like to say I work on MS Paint to make myself look myself more rad, but this thing does not support those bitmap fonts I create, so it is useless. Photoshop does all of my work [in] a quick, smooth, and pleasant experience, so I do this kind of process every day. Lithium: I’ve been a fan of your art for a while now and what really attracted me the most, besides the art style, are the words that accompany them. What and who are your major inspirations? 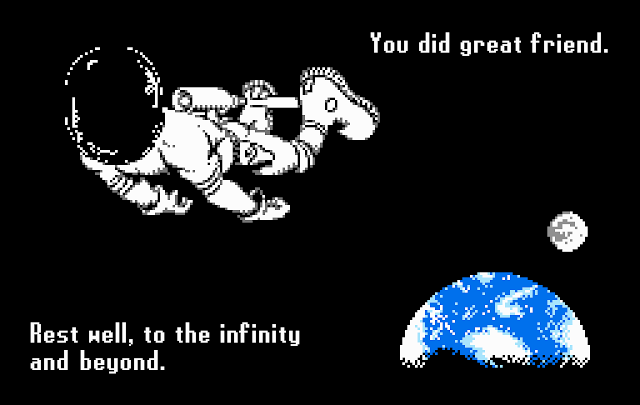 8-bit: Thanks for being a fan of my work, I appreciate it a lot. To be honest, people who like what I do is my inspiration in a way. They give me the sense that they relate to what I say and that gives me the drive to write honest words, instead of catchy phrases. The condition of the world and human is also a factor as to what I will write down on the picture. Lithium: What are your favorite anime/movies, games, songs and bands? 8-bit: I like a lot of anime and movies but I will focus on one that relates a lot to the concept of my project: Parasyte: Maxim. If you haven’t seen it, DO IT. The same goes for games. I’ve played hundreds of them but the one that had stood out [to me] recently is Undertale. Both for the way it involved me in its world and its stellar narrative and music. And of course, I will repeat myself for another time about the songs and the bands. Too many of them to count. I would need hours and hours to enlist you my favorite songs and artists. I will just tell you one for now to get the general image of my taste. These days, I listen to Arcana, a Swedish band with neoclassic and medieval music. That genre soothes me a lot. Lithium: How does being openly vulnerable in social media affect or help you? 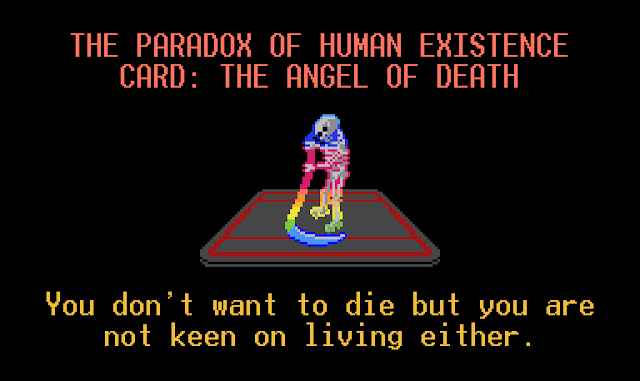 8-bit: It doesn’t affect me or help me at all because I don’t perceive this way of interaction as being in a vulnerable state, rather than talking with some online friends. Lithium: How do you know when to sell your art? When did you decide to sell yours? 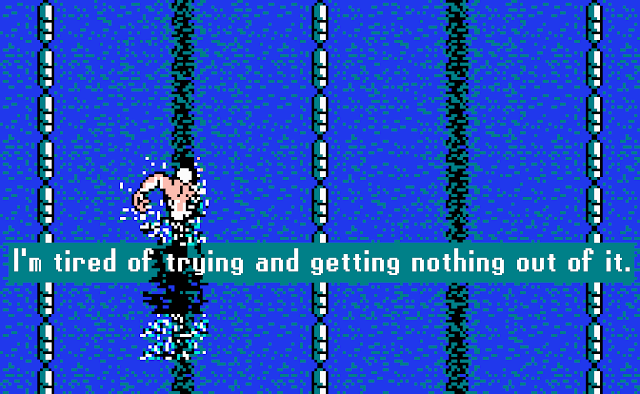 8-bit: It’s an instinctive process. If the piece I made seems good to me, then I put it on sale. All this happened randomly so I don’t remember. Maybe some people asked me about it but really, I can’t recall how it happened. Lithium: What is your dream project? Are you up for a collaboration? 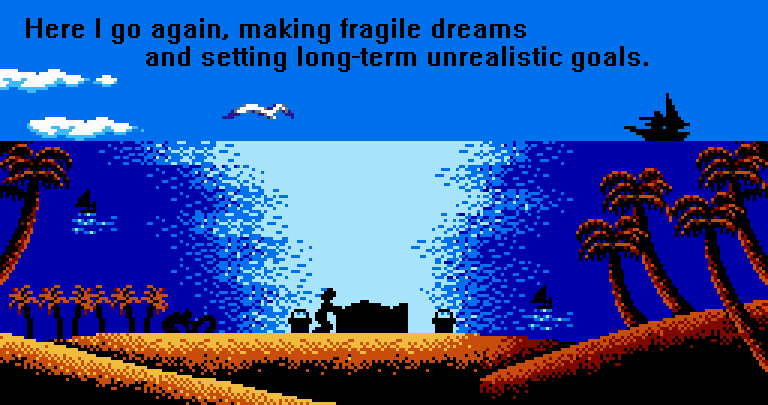 8-bit: I want to make an indie game and I’m at the very start of building the structure of it. I hope this takes flesh and bones soon. Yes, I’m up for collaboration, depending on what it is. Lithium: How does it feel when people put their guards down and become openly vulnerable with you on your Facebook comment sections? 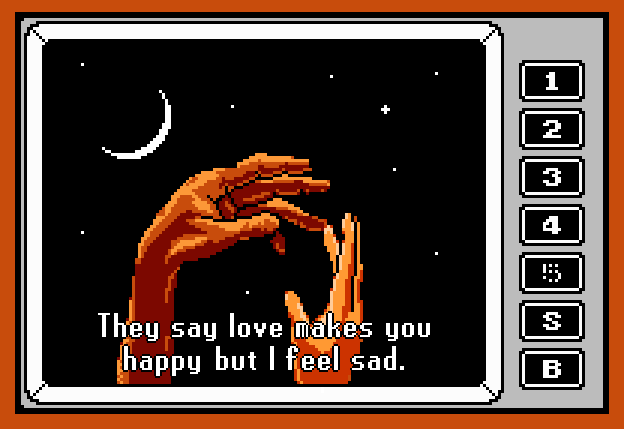 8-bit: It’s a strange feeling because Ι don’t like to open myself to others. Βut it's a sweet and warming feeling when they do so. Lithium: What memorable comments/responses have you received on your art? 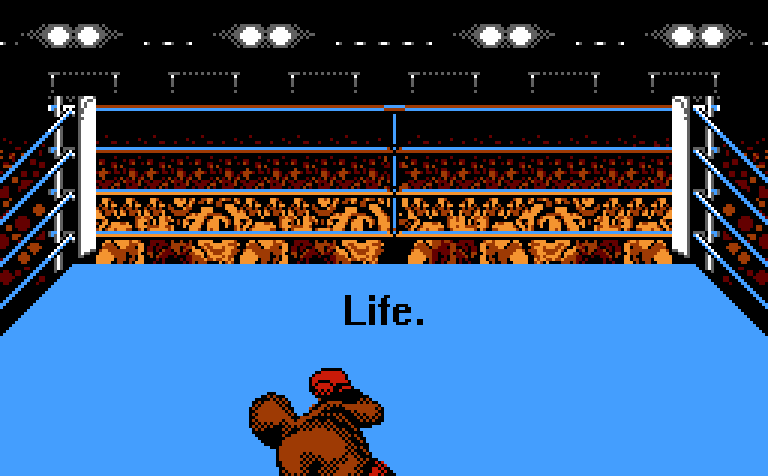 8-bit: There are a lot of them that I deem memorable. Most of them are about relating with the words on the pictures but there are others [that are] crazier. Lithium: Do you have other jobs or works besides creating/selling art? 8-bit: Yeah, I actually work but I wish this project was my main job. Lithium: Do you have any other art style? What’s your favorite artwork of yours? 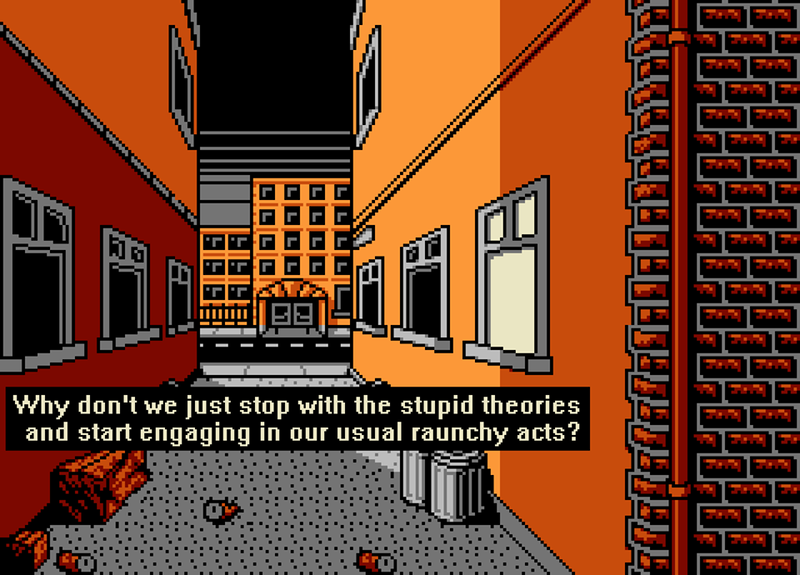 8-bit: No, my art style is the 8-bit-based one. I can’t imagine changing my art style for any reason. A favorite one is a recent picture of an astronaut that floats in space with Earth in the background. It’s a tribute to the recently departed John Glenn. Lithium: One of your incredible artworks says “Abolish the foolish roles that society shamelessly assigned to you”, which is kind of a revolution in itself. Can you give us some words about how we could abolish these foolish roles? 8-bit: Thanks for the point. It’s an underrated post that I really love but people didn’t care [about] a lot because they always expect sappy and melancholic macros from me, rather than an important issue raised through my medium. This, of course, isn’t in any manner a complaint, since, in some capacity, the sadness of the present day is affected by the social issues themselves. People nowadays can do everything. The internet has made a drastic change to our lives and the way we search/extract information, so taking action for these issues should be something we've already learned by now. But we haven’t and it is sad. We let ourselves and others be pinned down as society wants without ever wanting to be part of something big. So, I don’t know. People should act for themselves and by themselves. I’ll give an example. If you see someone being bullied, defend them, be there for them. Don’t record the situation with your mobile phone. This is total abandonment and just as vile an act as the bullying itself. Lithium: Are you in love with someone right now? Also, who hurt you? Can I fight them? 8-bit: No, I haven’t fallen in love in ages. It’s just not me. However, there are people I want to call out for being total jerks. Care to join me? Lithium: Do you prefer the excitement of the Internet to the outside world? How do you think the Internet can affect one’s mental health? Do you think art can help with mental illness? 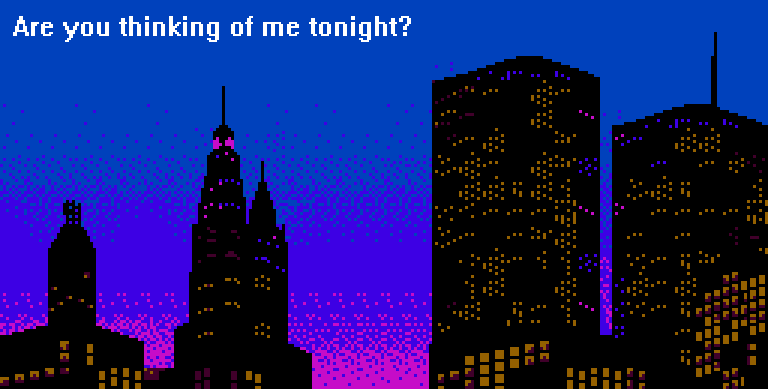 8-bit: I prefer the internet and staying at home, especially in winters. I hate going outside. I feel like I’m against the world every time I step out of the door. 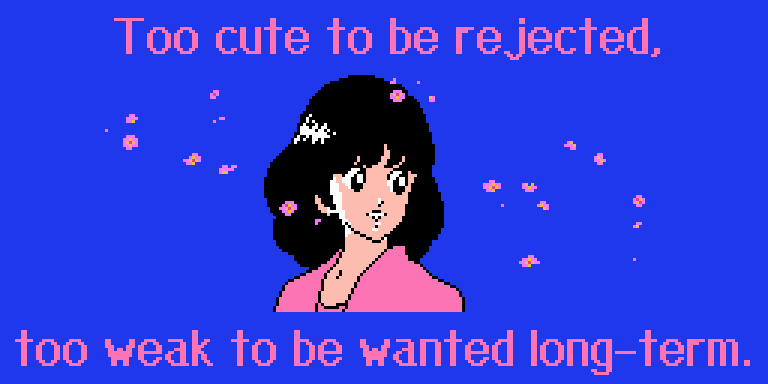 And all of those forced social interactions as well, except the ones I’ve personally chosen. Staying inside is a weird thing, sometimes. But the internet has helped me find valuable information and my place. If it wasn’t for it, it would be very hard for me to find a way to express myself. So, it can be both a blessing and a curse. It helps in a way but it also aggravates pre-existing problems or creates them with extended use, especially at a young age. And then, there’s art that balances this dark side of the internet and benefits people in a bizarre way. The web has a lot of platforms and mediums for people to search for art and find ways for a therapy to their daily problems, mental or not. The whole thing is a double-edged sword. Lithium: What do you mean by “condemned to be free”? 8-bit: It’s about the essence of our nature that determines our whole life, so consequently we think of ourselves as “free” beings when we are not. We simply act freely in accordance with the demands of our essence. Isn’t that a condemnation by nature itself? Lithium: What impact do you want to leave on this world? What do you want to be remembered as? 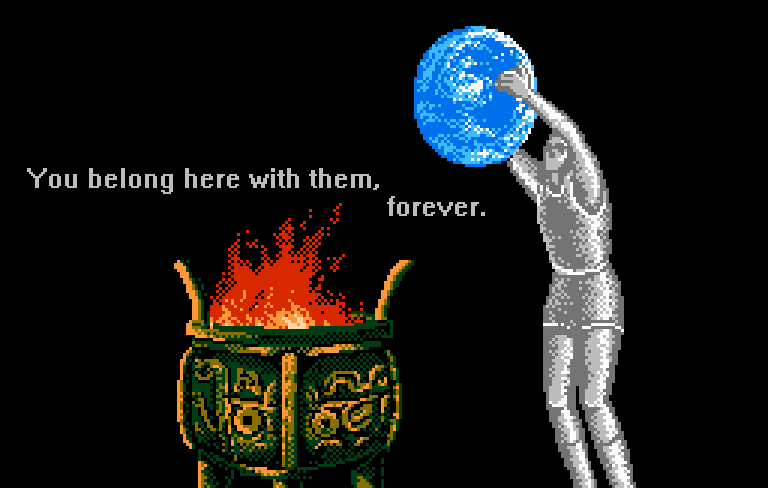 8-bit: I don’t want to leave my mark. I want to exist in this world as quietly as I can. I know this contradicts the whole interview and my page but I really mean it. I want to be no one and be remembered by no one. Lithium: Before I ask you the final question, I just want to thank you for being so down-to-earth. Okay, so do you have any advice for people who want to share their art on social media, but afraid to do so? Check more works from them on Facebook, Instagram and Tumblr! I love them too! Thank you, Danielle!